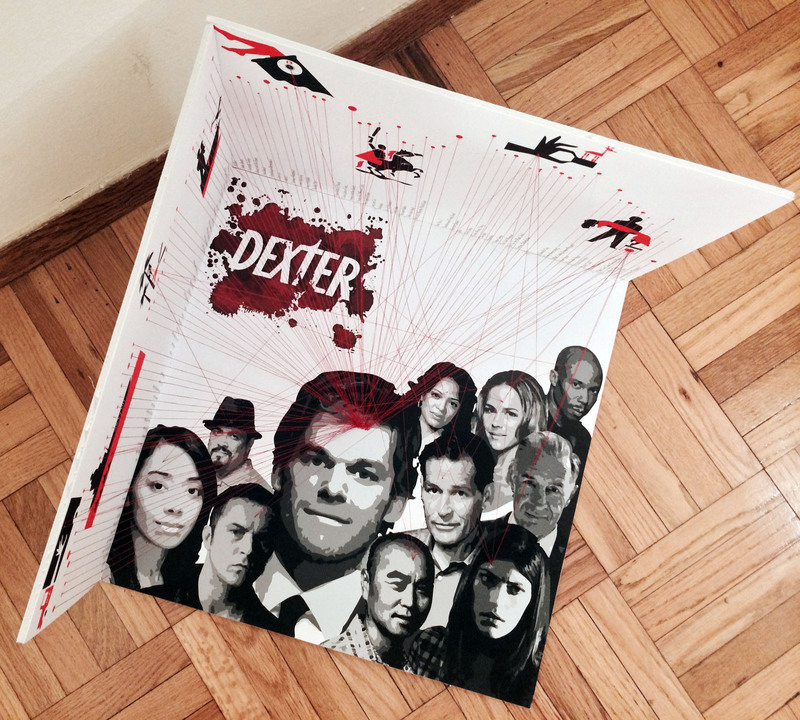 Title: Everything you need to know about Dexter! Topic: Dexter (aired on showtime). Dexter is a serial killer, but also a blood spatter analyst at Miami Metro Homicide. Hence, I portrayed my data through blood spatters. 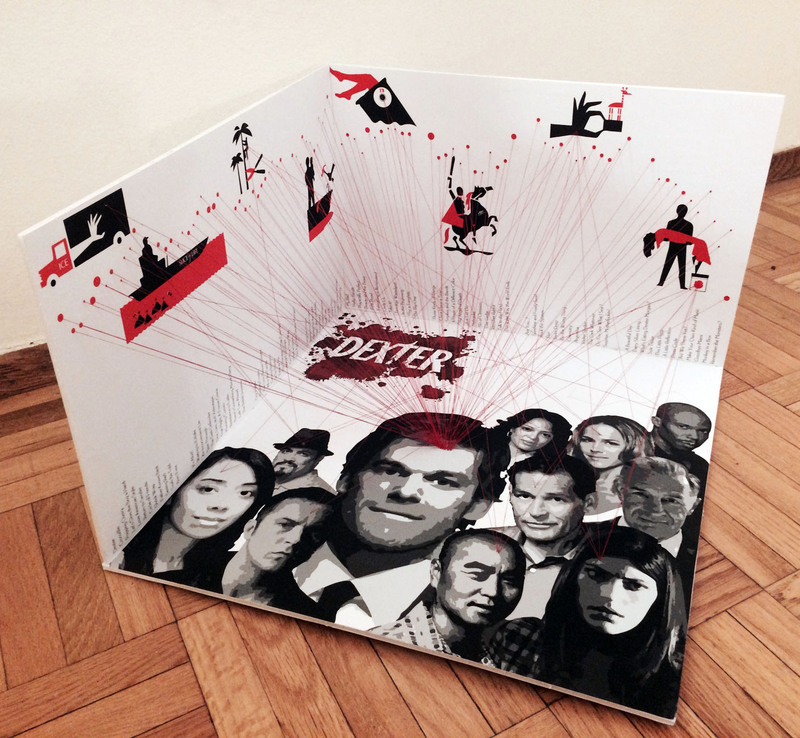 Each blood spatter represents an episode. There are 8 seasons with 12 episodes each. The x-axis of the blood spatter represents the order of the episodes, the y-axis represents the user ratings on a scale of 1-10, and the size of the spatter represents the number of victims in each episode. In the show, dexter analyses blood spatter through thread work which helps him get closer to how the murder took place. Hence, all the victims are connected to Dexter. Also, some characters of the show played important roles in specific seasons. Those characters are connected to the respective season as well. Each season has one major antagonist on whom the story revolves, so to depict them I illustrated icons that represent each season. Lastly, I also included each episode name, as they have symbolic importance to each season. The presentation of my data is inspired by Dexter’s ‘kill room,’ and so exists three-dimensionally.